After the debacle that was the Galaxy Note 7, Samsung is looking to regain the trust of the Galaxy Note devotees. 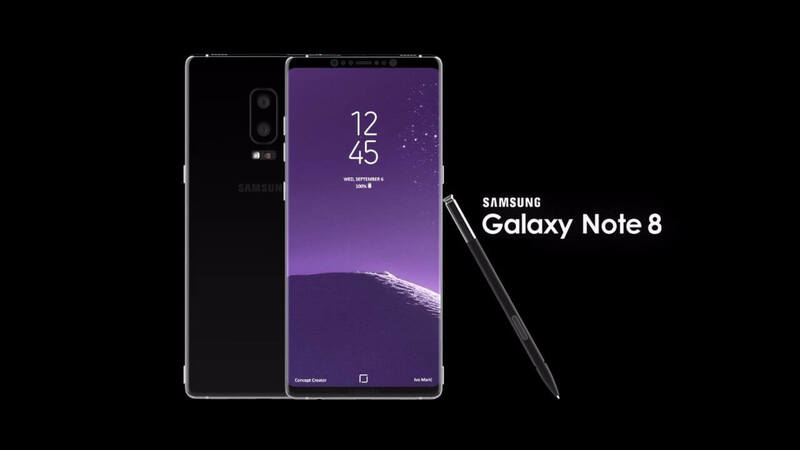 Since Samsung confirmed back in January that a Galaxy Note 8 would indeed be released, there have been plenty of rumors, leaks, and more rumors. Today, leak extraordinaire Evan Blass unveiled what he says the specs and price for the upcoming Galaxy Note 8 are going to be. According to evleaks, the Note 8 will sport a 6.3-inch Super AMOLED display with the same edge to edge design and 18.5:9 aspect ratio as the Galaxy S8. The Note 8 will also come in black, blue, and gold. On the outside, the Note 8 will have a dual camera setup like the LG G6, iPhone 7 Plus, and recently released OnePlus 5. Both cameras will be 12-megapixels with optical image stabilization. They will be positioned horizontally to the left of the heart rate sensor and flash. Owners of the Galaxy S8 have bemoaned the placement of the fingerprint sensor next to the camera as it often causes unintended smudges to the camera lens. Unfortunately, it seems the Note 8 will have a similar design with the fingerprint sensor once again next to the camera. However, Blass points out that the distance between the sensor and the camera is greater. Obviously, the battery will be a major point of focus for the Note 8 as not to repeat the mistakes of the Note 7. To that end, Blass reports that the battery will be a "relatively conservative" 3300mAh battery. Clearly, Samsung is not trying to take any risks with this iteration. Internally, the Note 8 will be powered by either a Qualcomm Snapdragon 835 or Exynos 8895 which is on par with the current S8/S8+. It will also have a generous 6GB of RAM which should make general usage and multitasking snappy. As far as Touchwiz, Blass writes, "On the software side of things, Samsung has apparently improved the ease-of-use of split-screen multitasking, endowed the S Pen with more capabilities (such as full-sentence language translation and currency conversion), and added the ability to pin handwritten notes to the always-on display." The Note 8 will also have the same DeX capability as the S8/S8+. Finally, the retail price of the Note 8 will be closer to $1,000 which isn't surprising considering the unlocked Galaxy S8+ sold for $825 at launch. Evan Blass' reputation is pretty stellar regarding leaks, but of course we'll still have to wait until Samsung formally unveils the Galaxy Note 8 later this year.